Oh you guys, where did my Monday go? Mark and I drove back from Folk Fest late Sunday night (okay all Sunday night) and, unsurprisingly, played zombie all day on our last day off. 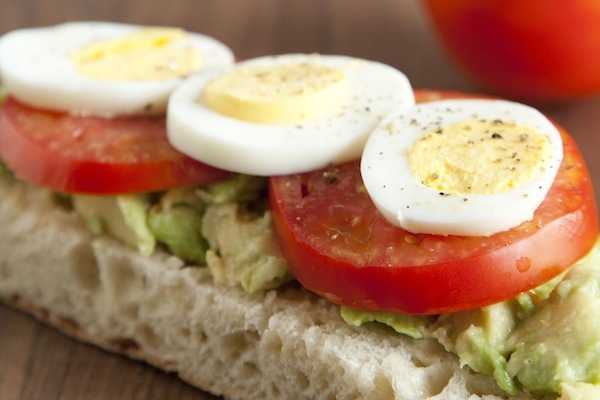 This avocado egg (and tomato) sandwich is one of our favorite simple snacks to make for breakfast, lunch, or dinner. It’s bright, fresh and insanely satisfying, but it won’t weigh you down. And right now, with tomatoes ripening almost daily on our little vine outside, there’s no better time to have one. 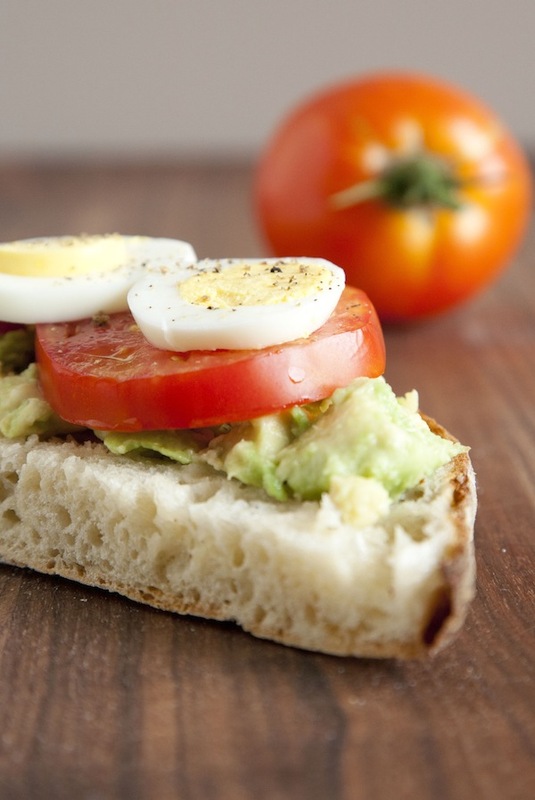 Pair it with a simple green salad and you have a pretty amazing meal. Crush avocado with a squeeze of lemon and spread on toasted bread. Top with sliced tomato, sliced egg, and salt and pepper to taste. Finish off with a squeeze of lemon (over the top, totally necessary) and enjoy. 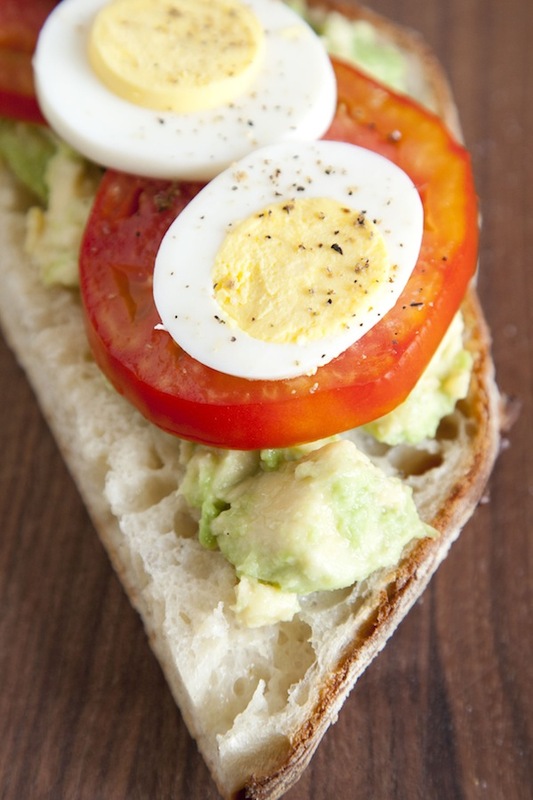 I don’t know what I ate before avocado egg toasts! 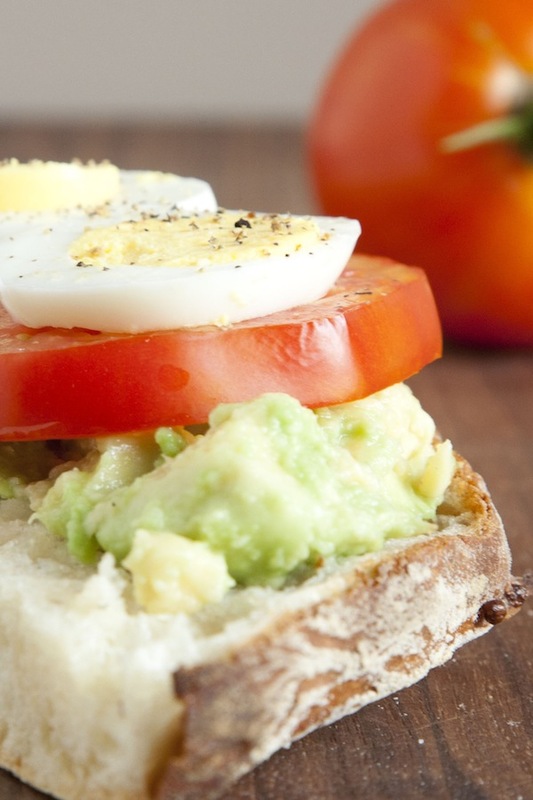 Eggs and Avos – can’t go wrong with those! And I hear you abt where Monday went!